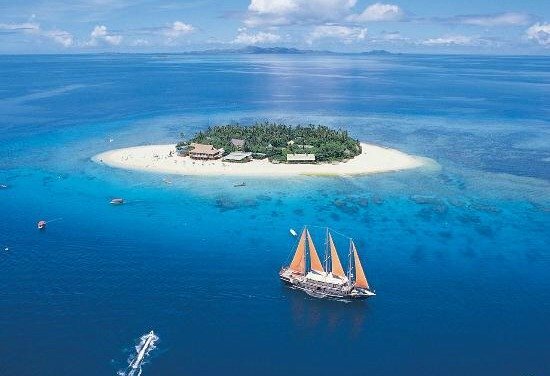 Want to discover Beachcomber Island Fiji? Find out here how to gain access to one of the world's most stunning islands. 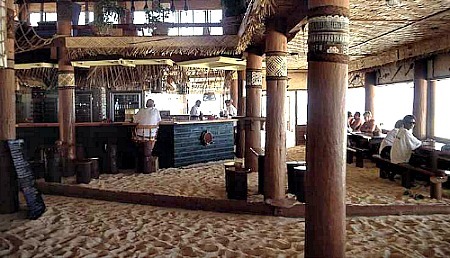 Tai is better known as Beachcomber Island. It's a tiny paradaisical island in the Mamanucas. You've most likely seen it on a postcard already, as it's visually spectacular. It's located just 19km or 30minutes from the mainland near Nadi. Beachcomber is the epitome of island resorts. What I mean is that, the island is small enough for the resort to encompass the whole island. Check out our 'Top 5 Fiji Island Resorts' which is the top 5 for this exact category, which includes Beachcomber. It barely takes 5 minutes to walk around and as you've noticed in the picture above, it's the benchmark for postcards on exotic islands. There's one way to get to Beachcomber Island, and that's by sea with daily trips available. Both the Yasawa Flyer and South Sea Cruises stop at the island. Visit our Fiji Island Travel section for details. It's funny that I've even included a map since it's so small. Here it is, showing the buildings and even beach umbrellas.